I’m all about healthy food that tastes delicious, looks gorgeous and is ready in minutes! When the opportunity to showcase Gardein products AND share a coupon with you came up, I was totally thrilled. Everyone in my house loves Gardein, from the #meetchef Teriyaki Chick’n Strips to Fishless Filets, it never occurred to me that you all didn’t already know about this amazing company and their products, so make sure you grab your $1 COUPON and give them a try. 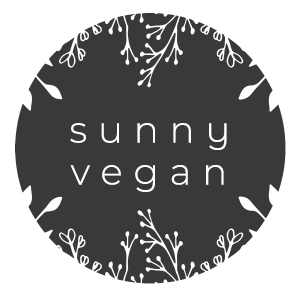 While I am vegan ( ummm- the site is sunny vegan) I hope to let people know that you don’t have to be vegan to make a difference. Did you know that reducing your meat intake just 1 day a week can have a considerable impact on your health. It increases life expectancy while reducing the risk of heart disease, cancer, obesity and diabetes. So why not give meatless Monday, or Thursday, a try and see how you feel? 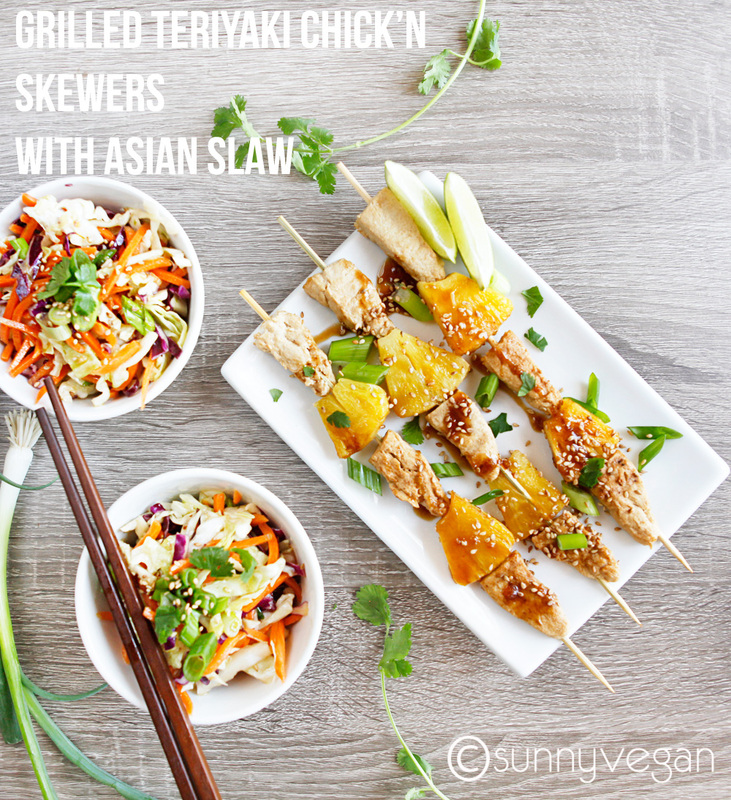 I’ve never had chicken, but I always thought skewers look so delish, I just had to make my own version with Chick’n Strips. This recipe is so easy, took 6 minutes to cook, it’s now in heavy rotation for a quick weeknight meal. I can’t wait to serve this at summer barbecues too. for the skewers- if using bamboo, soak for 15 minutes before grilling to prevent them from burning. pre-heat grill or grill pan. thaw Chick’n strips for a few minutes, just until soft enough to insert skewer without it cracking. 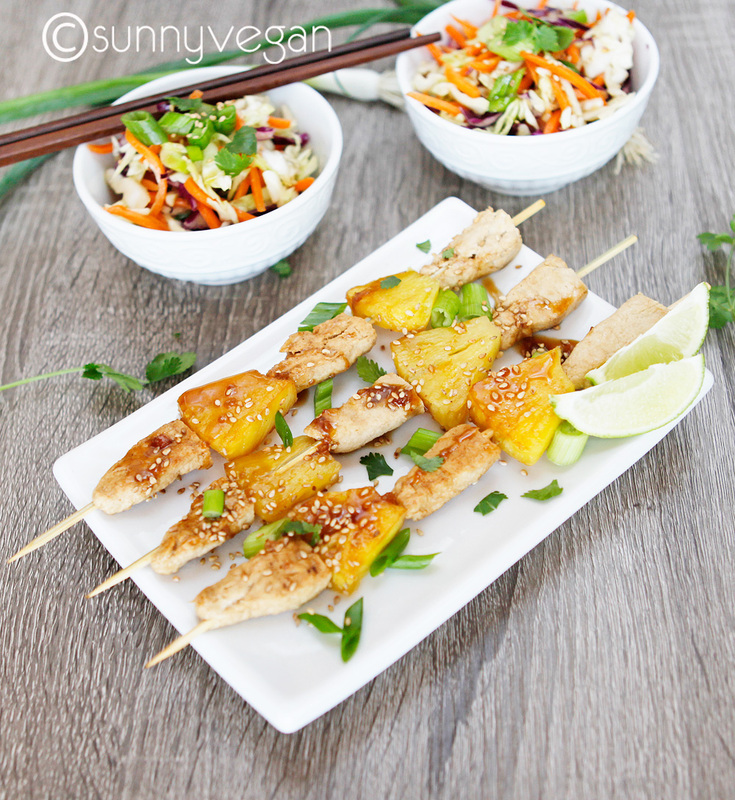 cut each strip in half, then alternate Chick’n and pineapple until skewers are all full. brush or spray with olive oil and grill each side for 2-3 minutes. drizzle Teriyaki sauce ( included with Gardein ) over chick’n and pineapple, top with optional garnish and serve immediately. combine all salad ingredients in a large bowl. in a small bowl, combine all dressing ingredients and whisk until combined. pour dressing over salad mixture, stir and allow to stand for 15 minutes. top with sesame seeds and serve. These look delicious! I’m loving checking out all the Gardein posts. So many great recipes! 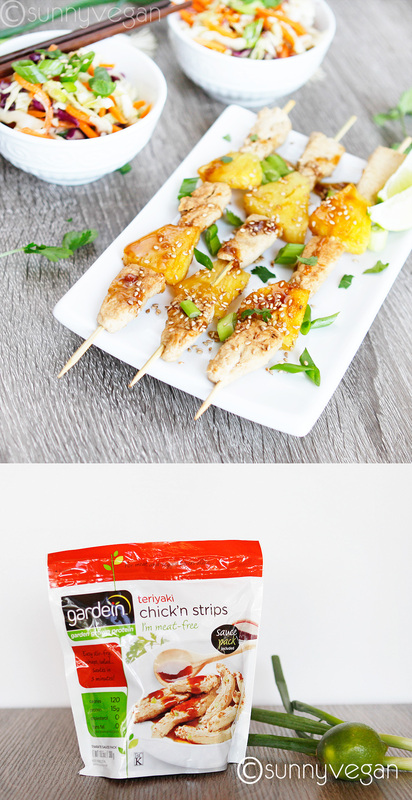 Pineapple, teriyaki, and “chicken” are a match made in heaven!